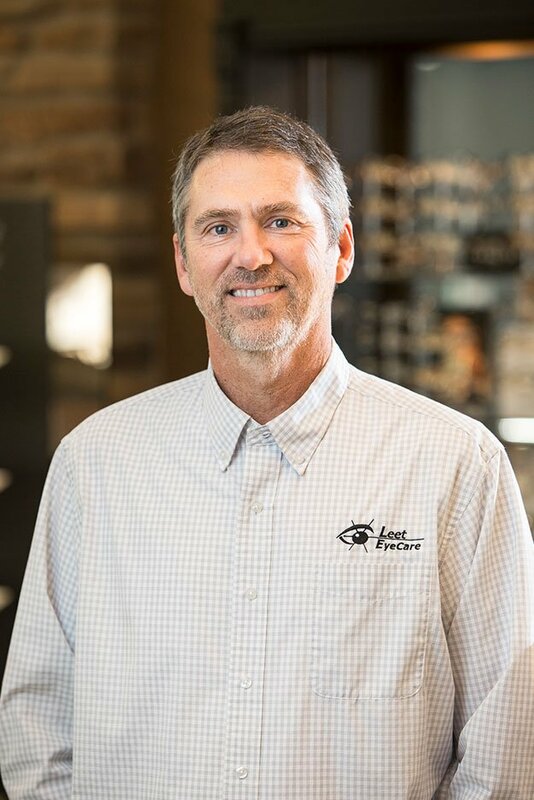 Dr. Leet grew up in the Park Hills/Flat River area, then attended The University of Alabama Birmingham, where he graduated with a Doctorate in Optometry in 1984. Upon graduating, he partnered with William Wright O.D. that same year, then founded Leet EyeCare in 1987 after acquiring Dr. Wright’s practice. He is a Vision Source provider. After practicing for over 30 years, Dr. Leet says he “never takes for granted the trust our patients give us” and aims to treat each and every patient like family. He’s very thankful for the years of support Leet EyeCare patients and the Cape Girardeau-area community have shown the practice. Dr. Leet and his wife Vicki have three children. Their son Jake is also an optometrist (you can read more about him here), their daughter Jenna is an attorney in Jackson, Mississippi, and their son Ryan is a staff member of Orthopedic Associates. The Leets also have five wonderful grandchildren. Outside the office, Dr. Leet is an active member of La Croix Church and the local chapter of the Fellowship of Christian Athletes (FCA). He also enjoys spending time with his family, getting in some lake time, golfing, and traveling. If Dr. Leet could turn any activity into an Olympic sport, in what event would he have the best chance to medal?